Russell Ingall will make his debut in the Boost Mobile Stadium Super Trucks series this weekend at Sydney Motorsport Park. 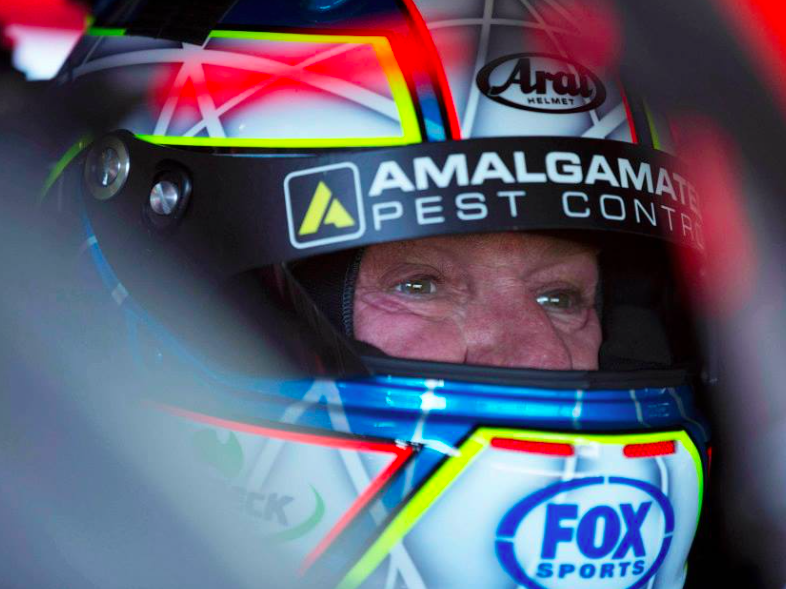 Ingall will be part of a nine-truck field at the Australian Motor Racing Series meeting at the invitation of Paul Morris in what will be his first racing since last year’s Liqui-Moly Bathurst 12 Hour. He has also behind the wheel of Shane van Gisbergen’s Triple Eight Supercar during a practice session at Queensland Raceway earlier this year in the absence of the Kiwi’s Pirtek Enduro Cup co-driver, Earl Bamber. “It has been a bit unexpected, the break I’ve had from the last time I’ve raced a car,” Ingall told Speedcafe.com. “It was good to have a run in van Gisbergen’s car earlier this year. “I wasn’t expecting to be this long out of the saddle. This was totally unexpected and this just came out after a post on social media about how the trucks were missed at the GC600. “I think they are a good spectacle and have always enjoyed them and it was shame they were not there. I put a post out and it just went off its head and Paul Morris spotted it and rang me and he asked me if I was interested in running one. “That is how it all came about. The field which also features Morris, whose Supercars team Ingall drove for from 2008 to 2011, as well as series leader Matt Brabham and occasional SST racer Matt Nolan. As always, the overseas contingent is headlined by series founder Robby Gordon. After testing tomorrow, the Stadium Super Trucks will tackle qualifying and the first of three races on Saturday. The final round of the inaugural AMRS season also features Australian Formula Ford, Performax TA2 Muscle Car Series, GT-1 Australia, Legend Cars, Group 4/Super Sixes/Outlaw V8s, Mazda RX8 Cup, and IROC Challenge.